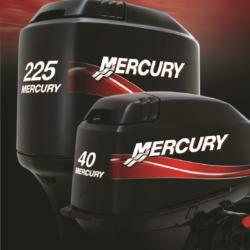 Mercury powers all the fun and excitement you can handle for more than 70 years, we’ve designed and built the boat–performing, most reliable marine engines in the world . From the proven six–cylinder verado to the new 2.5 hp two stroke, there’s Mercury to suit your demands. From portable 2 strokes, mid-range to the V6 EFI, Mercury delivers starting reliability, not to mention gutsy performance, delivering the power that can go on anywhere and keep going. 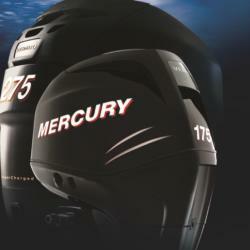 The best-selling direct-injection two-stroke outboards on the market, is the culmination of years of technological innovation. 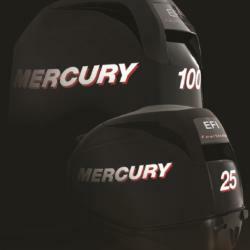 From the outset, the goal was to provide boaters with superior acceleration and top-end speed. All while delivering the clean, quiet, durable, and fuel-efficient qualities of a four-stroke. 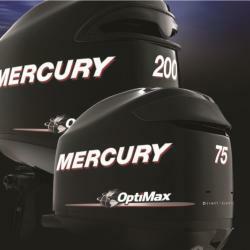 Designed and engineered to combine the best of both worlds, Optimax has the heart, soul, speed, and power you expect of a traditional two-stroke in addition to the fuel conservation and lower emissions of a four-stroke. Are designed to deliver ultimate durability, offering instant starts, clean and quiet operation, flawless performance under almost any condition, durable components and advanced technology. All together, these elements combine to provide the engine security you not only crave, but deserve. Is a masterwork of engineering that has reliability, power, and performance. Created to deliver the smoothest, most intuitive, most finely tuned ride on water. Verado is known as the world’s most sophisticated propulsion system, because it really does offer the best of all worlds. Commercial outboards designed and engineered to be ultra-tough working partners, for anyone making their living on the water. Built out of heavy duty components for added strength and corrosion resistance. Offers a full line of sterndrive and inboard engines from 135 to 435 hp.From their exclusive carbureted TKS models to our MPI fuel injected offerings, there’s always a MerCruiser engine that’s just right for your style of boating. For years the word MerCruiser has meant sterndrive performance offering 20 unique drive systems such as Alpha drive, the most popular sterndrive in the world or the great performing Bravo series.MerCruiser has the perfect engine for every boat. 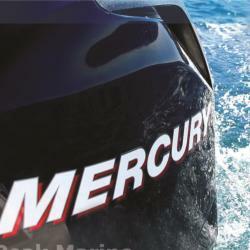 MerCruiser continues to charge forward with innovations like our exclusive SeaCore system with its best-in-class corrosion protection and warranty coverage.Our award-winning Axius control system offers low-speed maneuverability in larger boats powered by twin engines–maneuverability you’ve never experienced before now.